Release Date: May 12th, 2006 (Landmark Sunshine Cinemas) by Sony Pictures Classics. BASIC PREMISE: A documentary about Frank Gehry, a famous architect. ENTERTAINMENT VALUE: Now in his seventies, Frank Gehry remains a hard-working and surprisingly articulate individual. For those who have never heard of him, he designed the Guggenheim Museum in Bilbao, Spain, the Walt Disney Concert Hall in Los Angeles and other buildings most in California. In lively interviews, Pollack asks important questions regarding how he fell in love with architecture in his youth. Even Gehry’s therapist gets a chance to divulge his own opinions about him. To balance the point-of-views, Pollack also includes critics of Gehry who claim his architecture is dull. 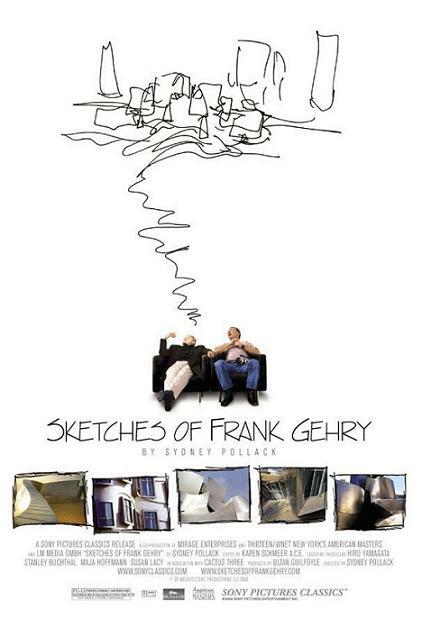 Director Sidney Pollack does a great job showing what makes Gehry such a genius. It’s fascinating to watch how he takes miniature models of buildings and turns them into works of art simply by bending the material in an interesting, unique way. Instead of getting into the many details of how Gehry goes through the lengthy process from the models to the tall buildings, he wisely focuses his attention on Gehry. Therefore, he manages to bring out his lively, warm and charming personality which you wouldn’t be able to get just by reading a textbook about him. SPIRITUAL VALUE: It’s interesting how a man of such artistic genius has so little confidence about his work. Gehry admits that it takes him a long time to feel somewhat comfortable with the final product, but, even then, he still doesn’t feel confident about it. He also claims that if he had been lead in a different direction in his college studies, he might have been a pilot since he has always loved to fly. Although Pollack doesn’t inquire whether or not he’s happy, he does at least appear to be happy with the way his life has turned out, even after left his wife to spend time with his true love of architecture. Most of his time, he interacts with a young protégée at his workplace as if he were his own son. IN A NUTSHELL: Lively, warm and endlessly fascinating!